During school holidays I like to have my older grandchildren come and stay for a couple of days. This gives us a chance, among other things, to go on an adventure, visit the beach or discover a new local playground. 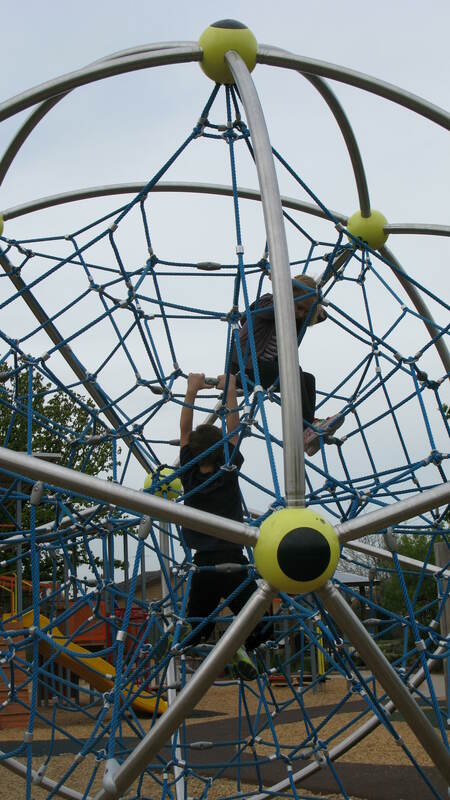 The small park near my home, referred to by the children as “Gam’s Park”, has always been a popular place to visit, however, the play equipment there is no longer really challenging for the older ones. Fortunately my local council has recently developed a wonderful new playground which is perfect for our needs at the moment and is only a short car ride away. I have found reading the local press a very useful way to keep up with development in my municipality and recommend the reading of such to keep grandparents in touch with what their local municipality offers in the way of open space and play centres.